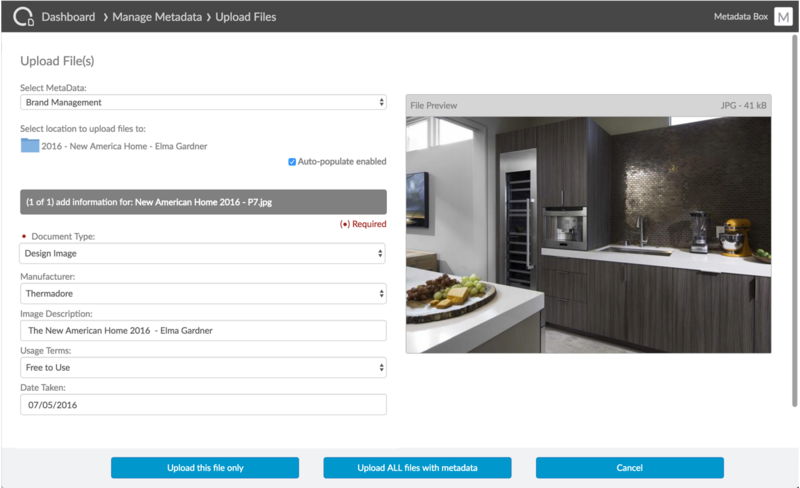 In this Digital Asset Management use case, we will cover how an on-line appliance retailer manages images from photo shoots using Box and Crooze MetaData Tools and PowerSearch. Periodically, the appliance retailer has a designer and their team create new digital assets to be used on their website and in marketing campaigns. The photo shoot generates a large number of high-resolution TIF images. Those images are first processed using image processing software like DxO, Lightroom or Capture One. The images are processed, touched up and custom metadata is added in the IPTC fields. The end result of this process are high-resolution TIF and lower resolution JPG files, both containing custom metadata in the IPTC fields. Let’s discuss the folder structure and metadata attributes required to support this process. Then see how content is uploaded. Most companies with many digital assets will take a combined approach, with different parts of the library organized differently. Our recommendation is that they choose the structure that makes the process easiest to manage. Why? A folder structure might work for one set of users but might not be suitable for another set. Best to use metadata to find documents which allows users to pick what attributes they want to use to find images. Since these images are created in photo shoots, they decided to use an event based folder structure for the digital library. The top level folder are named using the following convention: Year – Style – Designer Name. This retailer only does a few photo shoots per year. If the number of photo shots is large, you can add a folder level for each year (2016, 2015, etc). Choosing metadata attributes doesn’t need to be complex. There are 2 types of metadata. Metadata that supports your process and metadata used to find content. Since this was the retailer’s first implementation of DAM, they kept it simple and focus on the metadata used to find content. The approach we recommended was to understand how users want to search for content, what metadata they want to see and from that define a series of use cases. Based on those use cases, they chose what metadata attributes would be effective. Using Crooze MetaData Tools and PowerSearch for Box, they built a quick prototype and got user feedback before investing time in tagging content. Rapid prototyping is difficult and expensive using other approaches. If you need help with choosing the right metadata, Crooze provides Mentoring and Training to assist. The metadata contains some of the same information as the folder structure or even the document name. This is a recommended approach. Folder structures can be altered and documents can be moved or renamed. If the metadata is attached to the image (and embedded in the image) you will never lose your metadata. 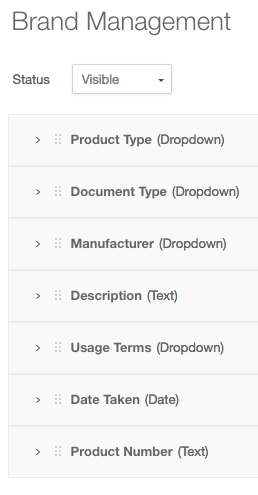 Once the Brand Management metadata is defined, the template can be created in minutes using Box’s Metadata Tool. Note that you need Co-Admin or Admin privileges to manage metadata templates. Since the images contain all the metadata in the IPTC fields, the next step for them was to configure MetaData and PowerSearch for Box to extract the metadata during upload. Here is a sample mapping that includes making a required attribute. 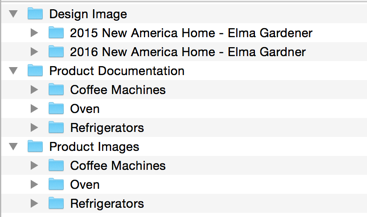 To upload the images for a new photo shoot, they first create a folder called ‘2016 – New America – Elma Gardner. In this case, the folders don’t need any metadata. The images aren’t inheriting any metadata from the parent folder since all images have all the metadata embedded the images. When they upload an image, a preview appears on the right and the metadata on the left to allow you to view the image and metadata in a single glance. In this case, metadata is extracted from the IPTC metadata in the image and the attributes are pre-populated as shown in the screenshot below. They use the “Upload ALL files with metadata” button and all the design images are uploaded at once. For images that don’t have embedded IPTC metadata, they set the common metadata such as Document Type on the folder. When documents are added to the folder, attribute values will be inherited from the folder. MetaData Tools and PowerSearch for Box makes it easy to add content with metadata by leveraging embed IPTC metadata or folder inheritance. In our next post, we look at how they manage metadata on existing content and how users get to content by using Metadata Tools and PowerSearch for Box.